The legendary Gaither Vocal Band showcases their award-winning harmonies with a fresh array of new songs combined with signature renditions of classic gospel tunes. Featuring the talents of new members Adam Crabb and Todd Suttles, who round out the five-member crew of “singers’ singers,” the recording maintains the group’s familiar, powerhouse blends while introducing a fresh dynamic from this energetic line-up. 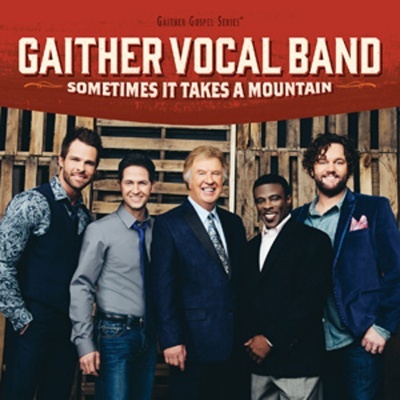 Sometimes It Takes A Mountain is the 35th recording in the award-winning Gaither Vocal Band’s iconic history. It is the culmination of more than 30 years of rock-solid musicality and innovative harmonies. Now, with powerful new voices, electrifying arrangements and fresh, hopeful songs, the Gaither Vocal Band once again raises the standard for vocal groups in any genre. In true GVB fashion, this recording delivers strong new songs that are relevant to today’s culture, plus time-tested favorites that honor the groundbreaking artist and songwriters who have gone before them.